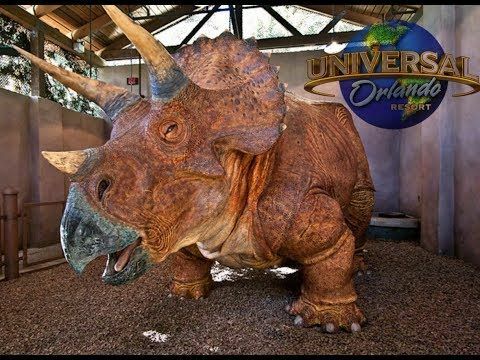 Permits Have Been Filed with The City of Orlando To Demolish the Existing Buildings of the Triceratops Encounter at Universal Orlando Resort. 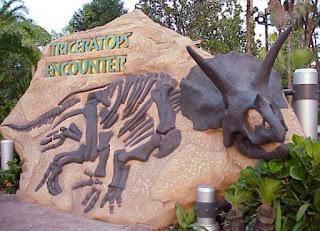 The fan-favorite walk-through attraction that has been closed for years, and had been expected to remain closed because of the nearby "Raptor Encounter" attraction, is now going to be dismantled and removed. The previous entrance for the ride. The name was eventually removed from this stone, and the entrance path has been blocked by brush and shrubs. The area will free up 9,100-square feet of space inside the Jurrasic Park section of the Islands of Adventure theme park. Work is expected to begin in June for the project known as "791." No other details about the future of this space are known at this time.